Featured in App Store’s ‘Best New Apps’ in 6 countries, Wired, Gizmodo and Stuff Magazine. 148 Apps - "appealing to those who think more visually." 4/5. Built for visual people who use their camera as a way of remembering things they want to take action on - NINE lets you capture quickly, organise simply and find easily. 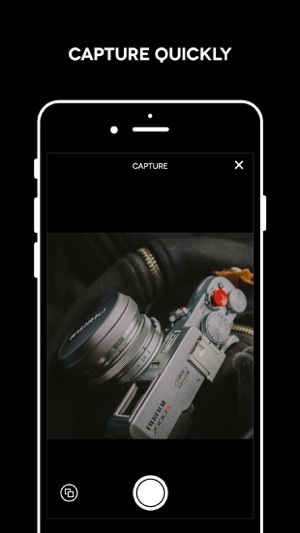 - Use the camera (or import from your library) to quickly capture photos of things you want to remember. 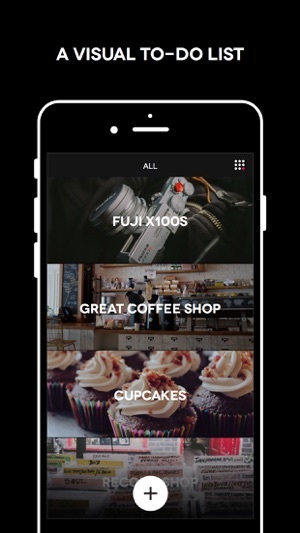 - Subtle filter to give your images clarity. 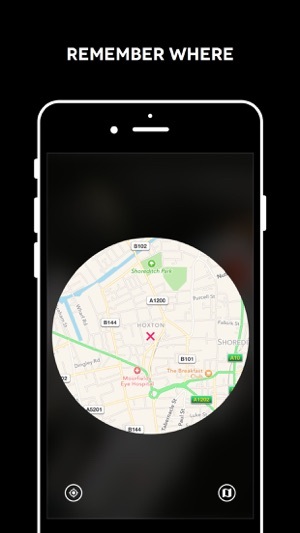 - Automatically notes the location so you can find that shop or restaurant again. - Completed items are archived without losing them forever. - Tap a tag to see everything related. - Search by label for something specific. 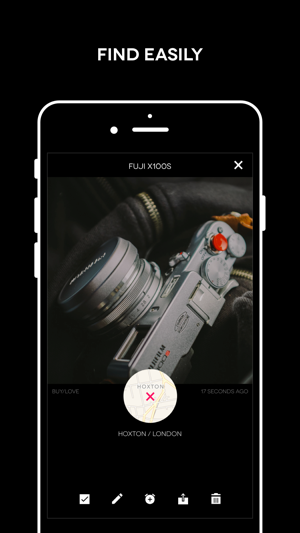 - A detailed view of the item lets you zoom your picture, find it on the map, edit or share it with friends. 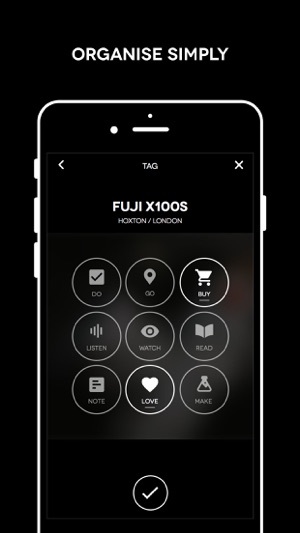 "This app the most intuitive and beautiful user experience I have seen in a long time." "I've lost count of how many list apps I've tried. This is definitely the best. Looks lovely, simple and not cluttered"
"Such a great app for visual artists trying to keep track of projects and tasks." "Amazing functionality, super fast, very beautiful interface." 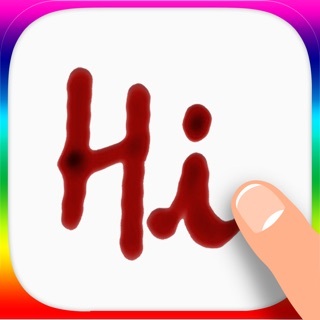 Apple App Store - 'Best New Apps' in 6 countries! Fantastically-designed app; makes my to-do lists visually stunning and a joy to scroll through. But some features feel missing - particularly the ability to change the location of a “to-do”. Often I’ll snap a picture of something, or jot it down somewhere, only to retrospectively add it to my list later at home. Most of my items, then, have the location of my apartment! Would love to be able to share lists, get geographical reminders (ie. when I’m near somewhere), and turn off the prompt to set a reminder every time (feels a little intrusive). The app is great, however, it would be nice to not have the pop-up whether or not a reminder should be set up. Also, I would love to be able to reorder my notes and asign priority to them. This is really easy to use, well designed and super useful for people who have a habit of leaving themselves cryptic notes.